When I first became a teacher my aim was to become the teacher I wished I had at primary school. One who really knew every kid in the class, captivated me to learn and actually wanted to be in that classroom learning alongside the class. For me, teaching and education has always been about building strong, positive relationships that then allow me to create opportunities to engage students in all kinds of learning – social, personal, emotional and academic. To me, teaching and learning are two of the most amazingly creative pursuits. They literally allow us to create brand new relationships, connections, ideas, understandings and ways of connecting to the world that didn’t exist in the minds of ourselves or others. Every single day teachers around the world do this. They not only think about how to explain these things and make them seem real to the kids in their class, they also simultaneously reword concepts, connect them to kids’ previous experiences, reframe their wording, engage students to explain their understanding and then adapt both explanations to make it as clear as possible for every single individual in the class to have built up their knowledge in some way. Teachers really are some of the most creative people you will ever meet. For me, over this last ten years I have loved those opportunities to help a student suddenly discover something new, or something old in a new light, and experience a sense of pride, wonder and/or awe in themselves. Over the last five years, I have been lucky enough to had grabbed opportunities to take on different leadership roles. While working with, supporting, challenging, mentoring and learning alongside my various staff and teams I have discovered a real passion for doing what I loved in classrooms – building strong, positive relationships with people to create opportunities for learning in all its forms. I love finding ways I can help create “Aha! Moments” for those teachers and leaders out there who create “Aha! Moments” in their classrooms and schools every single day. So, it is with this love of creating “Aha! Moments” that I’ve taken on a brand new adventure. One full of supporting, mentoring and learning alongside other teachers and leaders. An adventure that incredibly gives me opportunities to help give teachers and emerging leaders across Australia meaningful mentoring experiences. The hardest part with this new adventure is that I won’t have my own class of kids anymore. But the amazing thing that I am so excited about is getting to support, teach, mentor and learn alongside so many more teachers, leaders and upcoming leaders to unleash their creativity and potential on all their students, staff, families and communities. This adventure has taken me to an educational start up called Future Tracks. I’m currently in the process of developing this brand new program for early years teachers and emerging leaders that will give them access to amazing mentors, help them learn how to be an amazing mentor and give them meaningful opportunities to captivate their kids to learn and feel connected (even have fun!). This blog won’t stop. Far from it. It’s focus has always been on sharing the amazing impact and stories happening within every school, learning centre and classroom every day. With my role being focused on helping teachers in building relationships, becoming mentors, engaging students, creating rich learning experiences and using amazingly effective teaching strategies, all of these ideas will also be shared here. I’m lucky enough that I will have opportunities to see these in countless learning areas around Australia while also connecting with passionate teachers. With us recently launching the free Upgrade Think Learn the Podcast I can’t wait to keep sharing stories and insights from teachers around Australia. The whole purpose of the podcast is to help every teacher and educator out there realise the difference they make, share ways we can make our teaching lives easier (and more impactful) and raise the profile and esteem of our incredible teaching profession. Thank you to all of you for your support and continued engagement – it really is an amazing community we are continuing to build here! 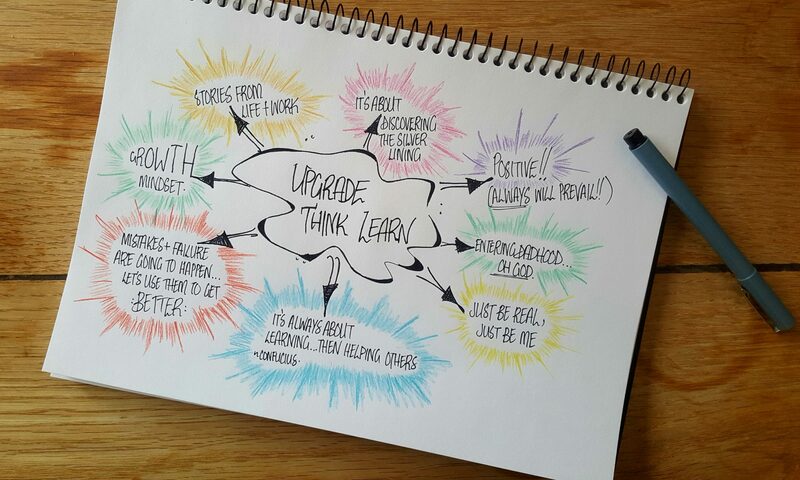 If you, or someone you know, may be interested in sharing your stories, experiences or insights with our community, please send an email to upgradethinklearn@gmail.com. It really is our seemingly ‘every day’ stories that can help so many other teachers out there! Interested in ideas and stories to help make your teaching life easier? Subscribe here or through Apple Podcasts to get our best and brightest!